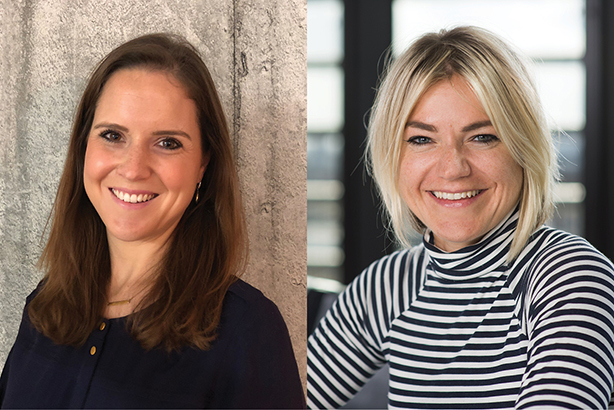 Freuds has continued to grow its senior team with the appointment of Teneo Blue Rubicon creative director Lotte Jones and Stir PR MD and Freuds alumna Jo Vyvyan-Robinson. Both join as partners this autumn. Among their broader responsibilities, Jones’ focus will be increasing creativity across a range of clients, while Vyvyan-Robinson will lead key accounts KFC and Sainsbury’s. The appointments come soon after that of Sara Latham, a former senior advisor on Hillary Clinton's 2016 US presidential campaign, who has returned to Freuds as managing partner amid 'radical' structural and other changes at the London-based agency. Jones led campaigns for Facebook up until the company's IPO in 2012. Soon after, she founded consumer brand agency Surname & Surname, running the business for four years before moving to Teneo Blue Rubicon. Vyvyan-Robinson was previously a director at Freuds, heading the KFC account, which she helped win in 2017. She also led an 18-strong consumer press office and brand team at Freuds for Asda. Her appointment comes amid the start of the Competition and Markets Authority probe into the proposed Sainsbury's-Asda merger. Freuds CEO Arlo Brady said: "It’s a truly exciting time as we embark on the next phase of our change programme and accelerate our competitive advantage in the market place. People are our business and the competition for talent is fierce so we are extremely pleased to have signed Jo and Lotte, two heavy hitters with huge value to clients." Jones said: "I’m thrilled to be joining at this point in the freuds journey. It’s an agency founded on innovation and creativity and this is a particularly exciting time to be part of that. I can’t wait to get cracking." The appointments follow a series of changes among the senior team at the agency. UK revenue at Freuds grew 9.6 per cent in 2017, reaching £41m, according to PRWeek’s UK Top 150 Consultancies table. The agency employs around 250 people.